Ah, the Hebrew month of Adar. Adar is quite the month, with its most notable celebration being the holiday of Purim, commemorating the deliverance of the Jewish people in ancient Persia from an annihilation plot by Haman, the Wicked One. Today, we celebrate by reading the Book of Esther, giving charity to the poor, drinking, eating and wearing awesome costumes, among other things. It’s one of my favorite and most memorable holidays as a kid for many reasons, especially being able to dress up in costumes and cranking the noisemakers as loud as possible, annoying my siblings and parents. Then there was the hamentashen, which brings back memories of the song “Three Corners,” which I used to sing with my classmates, and the delivering of these tasty treats with my family to those in need. This year, as USY advisor to the SHMUSY chapter, I am especially excited to help coordinate the awesome Purim carnival, filled with inflatable rides, gift basket making, and making some crazy masks! What’s even more special is that the money will be donated to charities and social action projects that the USY chooses. But what does Purim really mean? Drinking and eating? Making noise? Dressing up? To me, the holiday celebrates our liberation from oppression, but it also celebrates the community. Look at how we as Jews view this moment in history as a people: rather than diminishing this moment in history as another attempt to expel and exterminate the Jews. We celebrate our freedom and religious beliefs in the face of our demise. I love that kind of attitude, don’t you? Rather than simply add the book to the annals of Jewish lore, we read it aloud every year to remind us of our past. Instead of skipping over the nasty parts, we read them aloud with pride and block out the bad parts with lots of noise, to show those who aim to exterminate us are never going to break our spirit (kind of like Passover). I like being a part of a community that celebrates and remembers the bad times (or almost-bad-times) as well as the good ones, that sees a reason to be lively and spirited amidst the trouble that surrounded the Jews in the story. 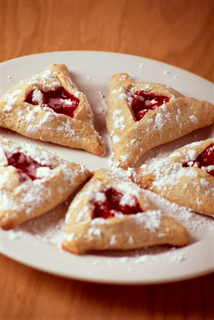 What’s your favorite Purim memory? 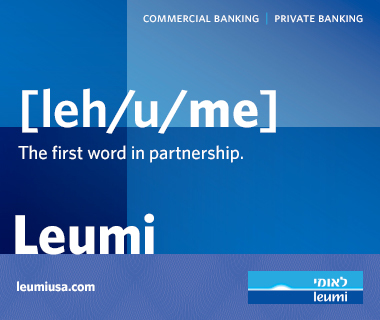 This year, I am honored to be asked to leyn from the Megillah at Anshe Emet for the first time. I can’t wait to celebrate. So grab that glass or wine, snack on that hamentashen, and be merry! Now, where did I put that Mordechai costume?